1 What is the NCLEX? 2 Why should you buy the NCLEX prep book? 3 How to find the best NCLEX prep book for yourself? 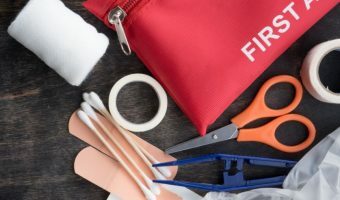 You’ve just graduated from nursing school, you have your new set of scrubs on, and your favorite stethoscope around your neck and you are ready to pursue your dream job and save lives. However, there is another significant step you have to make before leaping into your career – the NCLEX exam. Most nurses are terrified of this test, and they spend weeks if not months, preparing to face their fears. Fortunately, we have the perfect weapon to help you get ready for this battle – the best NCLEX prep books. Stay with us as we explain what the NCLEX is, why is it a good idea to purchase a prep book, how to find the right one for yourself and present you the top five prep books on the market. 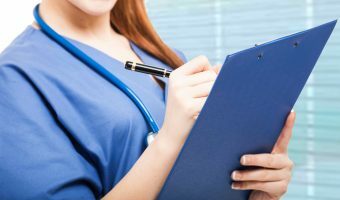 If you’ve just finished the nursing school, or you moved to the US recently, and you want to become a registered nurse, you’ll need to take the NCLEX exam. It sounds serious and scary, but what is it exactly? The NCLEX exam or the National Council Licensure Examination is administered by the National Council of State Boards of Nursing (NCSBN). The purpose of this notorious exam is to ensure that future nurses have adequate knowledge and skills, and that they are certified and licensed to practice nursing in various institutions across the US. You don’t have to be afraid, you are not the only one who has to pass this test. More than 200,000 people take the NCLEX-RN, while additional 70,000 take the NCLEX-PN each year. 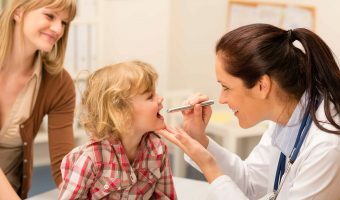 Once you decide to make this vital career step, you’ll have to pay typically around $200 (depending on your location), just to take the NCLEX test. This amount should be paid directly to Pearson VUE. When you pass the NCLEX exam, you’ll need to pay (approximately) additional $300 for the nursing licensure. Candidates are often worried about the details of the exam itself – how long does it take, how many questions there will be, is it going to be difficult and so on. The NCLEX-RN exam usually takes about 6 hours to complete, while the NCLEX-PN takes 5 hours. This time is not reserved for the test exclusively. It includes optional breaks and any other breaks that you might need. Why should you buy the NCLEX prep book? If you had good grades in nursing school and you are confident in your knowledge, you might think that the NCLEX prep book is not necessary. According to the NCSBN’s statistics, over 90% of US-educated nurses who are taking the NCLEX for the first time, succeed to pass the exam. The pass rate drops to 80% when we include the international test takers and people who are retaking the NCLEX. When you take a look at the data, you can see that the chances are you will pass the exam after the first try. However, if you fail, there are some rather unfortunate consequences. Most importantly, you’ll have to pay the monetary cost required for retaking the NCLEX exam. Also, there is an official limitation that says you can make only eight attempts per year, and you have to wait 45 days between two attempts. Don’t even let us started on the stress that repetitive test taking can cause. So, investing less than fifty bucks in a good book that can help you overcome your fear and pass the NCLEX with flying colors doesn’t seem like a bad idea at all. How to find the best NCLEX prep book for yourself? You’ll have to decide which one suits your learning style the best. The content review guides are ideal for nurses who had been out of school for several years, or they are not really confident in their knowledge. 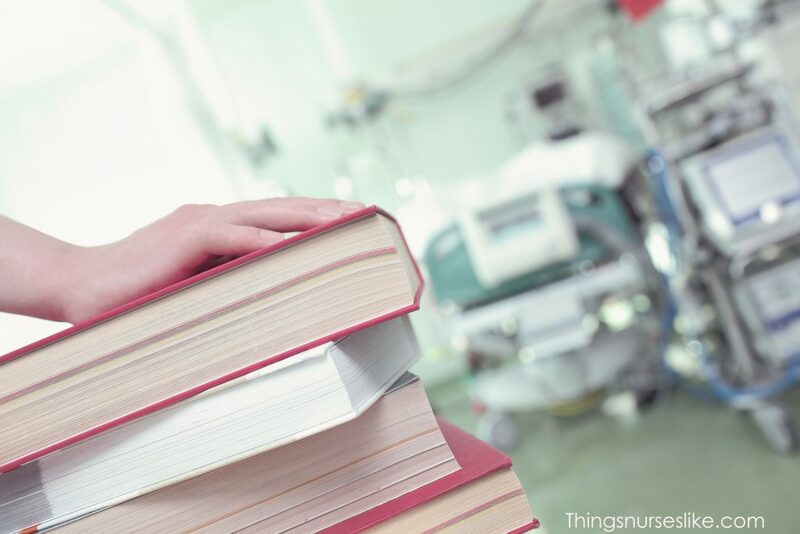 These books give you a chance to focus on re-learning all of the information that you’ve studied during your nursing program. You’ll review different nursing topics one by one, and then test your knowledge by answering practice test questions. The strategy review books, on the other hand, are perfect for people who are confident they have all of the information they need, but they are not so sure how to handle the test situation. These guides focus more on test-taking strategies, tips, and tricks. At last, the Q&A review books will suit nurses who love challenging themselves from the very beginning. These books focus primarily on answering different practice questions, and they aim to develop your critical reasoning. Once you recognize which type of NCLEX prep books can benefit you the most, you will have no problem choosing the best book for yourself! Saunders Comprehensive Review for the NCLEX definitively stands behind its name. It is comprehensive for sure. If you purchase their e-book, you will have a chance to highlight, take notes, and do quick searches. It will offer you a fantastic study guide, over 5,100 NCLEX examination-style questions, a detailed test-taking strategy and a rationale for each question. This book will give you vast information from the nursing curriculum. It will be useful both during the nursing school and once you decide to take your NCLEX exam. Whether you are a PN or RN, Saunders Review has you covered. It is beautifully organized, and its chapter on test-taking strategies is terrific. It offers questions with multiple responses, fill-in-the-blank, prioritizing, chart/exhibit, figure/illustration, video, and audio problems. At last, they prepared even the transitional issues for the foreign-educated nurses. However, you won’t get many new questions in the online question bank in comparison to the ones you can find in the book. Also, the review might be too comprehensive which doesn’t suit every person’s learning style. In general, you might see that the book is a bit repetitive. For the past few years, the NCLEX Examination has focused on prioritization, delegation, and patient assignment and this book does the same! It will provide you with exercises of increasing difficulty to help you gain necessary skills in this area. It is organized in three different chapters – guidelines for prioritization, delegation, and patient assignment, applying that knowledge in common health scenarios and finally, complex health scenarios. If you want easy-to-read book that you can inspect cover-to-cover in two weeks, this one is highly recommended. It will give you a thorough explanation of why an answer to each question is correct. Also, you will enjoy the case studies that are quite realistic. Most importantly, the questions are challenging and require critical thinking. However, you will notice that there are significantly more delegation questions than prioritization and assignment ones. This is an important flaw because many nurses feel like delegation is the easiest skill to adopt of all three. Also, some of the answers are a bit subjective, and if you consult your professors and instructors, they might have different opinions. At last, there are no tips and tricks to help you approach the NCLEX test. If you don’t like carrying a bulky book around and you want simple, easy to understand information with no-nonsense structure, you will love The ReMar Review Quick Facts for NCLEX. The core content of the book is straight to the point, and it helps you quickly identify your strengths and weakness. The writers recommend you to study about an hour each day, covering 7-10 pages. This way, you will go over the whole book in approximately two weeks. The ReMar review is ideal for nurses who have been out of school for some time, and they don’t have much time on their hands to go through tons and tons of information. It goes straight to the point, and you have to learn it cover-to-cover because everything in it is essential. Another benefit of this book is that you won’t spend a fortune on it. On the other hand, due to its concise structure, you might have a feeling that some essential details on diagnosis are missing. Also, the review is organized in alphabetical order which might be a bit inconvenient. As you study, you will notice a lot of typos and tiny mistakes, so make sure to consult at least one more source. Another great book for nurses who have very limited prep time is Kaplan’s Content Review Guide. It covers all the must-know information you need to pass. The content of the book is cleverly organized in outline format and offers easy-access tables that will boost your efficiency. Kaplan’s acclaimed Decision Tree and several expert strategies are here to help you master all necessary skills, such as critical reasoning. If you need an affordable book that will provide you with the needed knowledge for taking NCLEX exam and at the same time help you organize your studying process, Kaplan Test Prep is a way to go. It offers a fantastic review of essential information, and it comes with a useful plan calendar. The book is set up according to NCLEX categories and features numerous charts and tables to help you memorize the material. Unfortunately, the major flaw of this book is that there are no practice questions. Also, it won’t offer you a detailed, in-depth review, just the most crucial information. Kaplan’s online practice question bank is much more useful than the book itself. 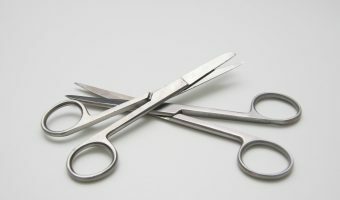 Lippincott Q&A Review supports four crucial content areas – mental health, medical-surgical, obstetric and pediatric nursing. Separate chapters, within these four sections, are organized around common health problems. The textbook also includes more than 6,000 high-level questions that promote higher-order thinking and active learning. You will be glad to find out that Lippincott book has a “Content Mastery and Test-Taking Self Analysis” grid which will help you chart your own progress and modify study plans. If you are looking for genuinely challenging questions and well-explained rationales, purchasing Lippincott Review might be a good idea. It will offer you different tips on how to deal with NCLEX style questions. Also, the content is separated by sections and color coded which makes your study process much more straightforward. This guide is as comprehensive as Saunder’s book. A word of advice – if you already have the 11th edition of Lippincott Review, don’t purchase the 12th as well, they are pretty much the same. Also, you will notice that the book doesn’t explain why the wrong answers are wrong, it gives rationales only for the right ones. Be prepared for little to no space for side notes, so buy sticky notes ahead. There is no way to tell which one among the top five books we’ve presented is the best one. As we said above, different types of prep books suit different people. If you are looking for a comprehensive content review, you’ll go with Saunder’s book . If you want to learn different test strategies Kaplan’s test prep might be a better idea. At last, if you enjoy tackling down difficult questions and case studies Lippincott’s book should be your go-to option. Whichever book you choose, make sure to read it cover-to-cover and stay calm. You have all of the needed information buried somewhere in your brain. You just have to get to it.